What does Kidney Disease in cats mean? Chronic Kidney Disease (CKD) is a common disease in adult and geriatric cats. 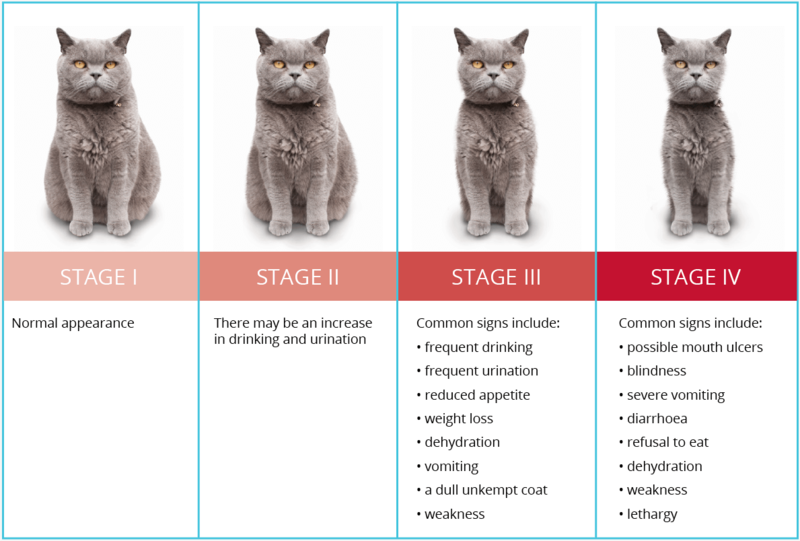 CKD is a progressive disease and the rate of the progression varies with each cat, along with the clinical signs. Minimise clinical signs such as weight loss, increased thirst, increased urination and inappetence. Improve the quality of life for the patient. There are different treatment plans tailored to each cat including medications, diet and re-hydration through fluid therapy.